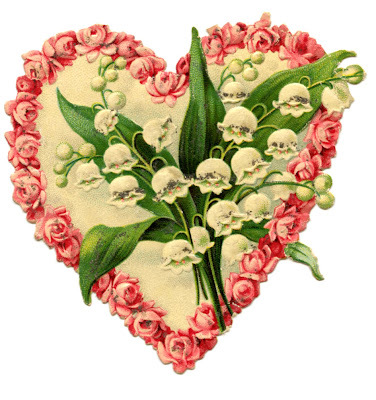 Here’s a lovely Victorian Heart Scrap for your Valentine’s Day Projects! This one has a pretty Roses Border, with a Cheerful looking Lily of the Valley Sprig in the center! 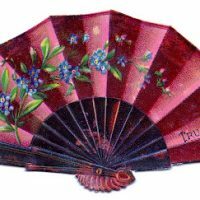 Victorian Image – Ladies Red Fan Free Vintage Plum Blossom Image Free Flowering Branches Clip Art! Thank you SO much! Just beautiful! That is just so sweet! My favorite! I love lilies of the valley too. You are too kind! Thank you! Wow! I’m so happy that I came across Graphicsfairy.com! What a treasure trove of charming and beautiful vintage images – thrilled that so many are free! I made the most adorable decoupage mason jars with my senior living residents using your vintage Valentine images – they’re so proud of their creations! THANK YOU so much for sharing!!!!! Thanks so much Ally, that makes me so happy!! Thanks! It is a gorgeous pic! This is a beautiful heart! Thanks so much! So pretty – my favourite flowers! Love this beautiful heart, thank you so much! Thank you, it is lovely! Oh, you are all so sweet! I’m glad everyone liked this one so much!! How gorgeous. It has so much depth. Thanks again for all you share! Thank you! It’s so beautiful and my bf just loves lilies of the valley. This is absolutely gorgeous! The flowers are stunning!